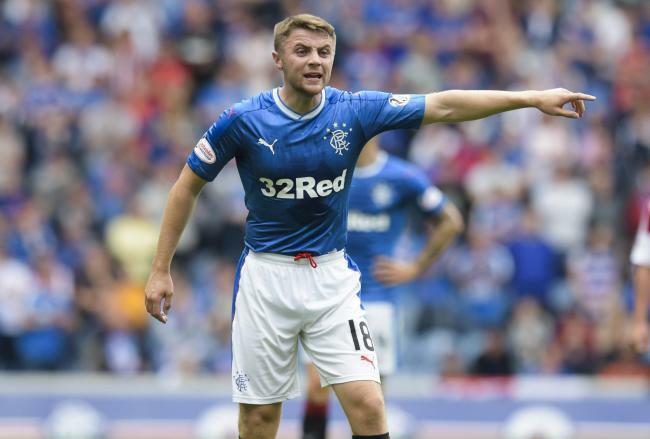 Steven Gerrard has today confirmed he and Jordan Rossiter seek to put the player out on loan, but could not verify media reports that the destination will be Tannadice. Speaking at his pre-Cowdenbeath presser, the Rangers boss admitted he felt it would be ‘selfish’ to keep Rossiter at Ibrox, and reckoned it was important to get the lad some game time, but that he was sadly behind both Ryan Jack and Ross McCrorie in the pecking order and that wouldn’t change any time soon. It’s candid and it’s honest, and we all hoped for so much more for the ex-England youth captain, but his career is crushingly in free fall right now and while we equally love Rossiter here at Ibrox Noise we can’t complain about Ryan Jack or Ross McCrorie’s form right now and Rossiter similarly deserves better than playing for our Development Squad. It is definitely best for his career that he goes out on loan and gets fit and ready to challenge properly for a jersey for next season. I'd hate to see us doing ANY business with Dundee Utd. They'll be remembered as one of the teams that took the most delight in our misfortune in recent years. Karma hasn't hit them hard enough yet. Dundee utd can piss off. Surely there's SPL teams willing to take a punt, better that he plays in the same league and maybe even influence taking points off the tims. Agree, I would love to see Jordan Rossiter go out on loan and hopefully get himself a run of games. Preferably down south in championship or league 1. If he gets himself up to full speed I still believe that he will be every bit of the player he had the promise of being. Agree with Gav E. Could help Dundee, St Mirren, Hamilton, Motherwell. All teams under pressure where he will have to fight to keep them in the game. Any points he takes helps us. Could also prove himself to SG. Add St Johnstone to that list but remove Hamilton due to their pitch. Remove Motherwell too as they were one of the first to put the boot in in 2012. Got to agree with my fellow bears. As a Utd man i can understand where you guys are coming from i hated s thompson he was just an arse who took as mutch as he could from the club. We are now a clompletely different club. With no board members from that era. You did owe us a fair bit of cash. I wish you all the best under Gerrard. great appointment. Our clubs always had a good relationship before thompson. Hes gone so are the rest of his cronies. Lets move on. Iv always been on the blue side of Glasgow and would consider Rangers my no2 team. We all hated Thompson.